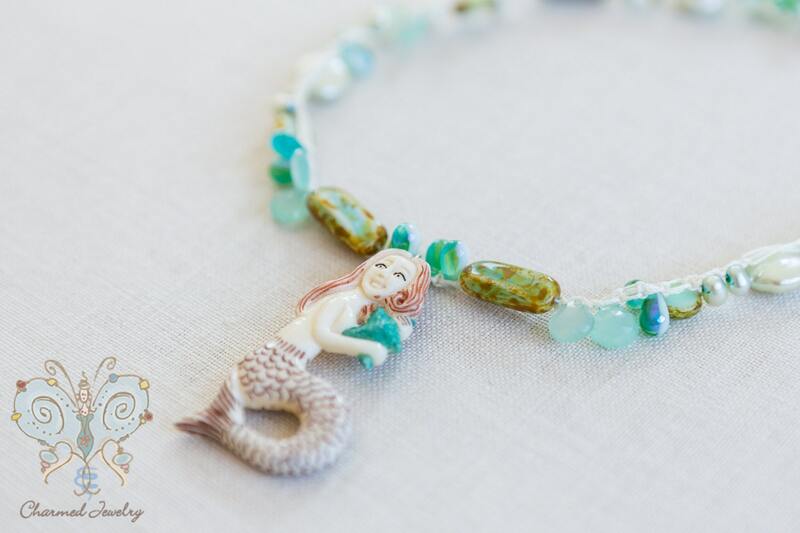 Mermaids are said to bring good luck! 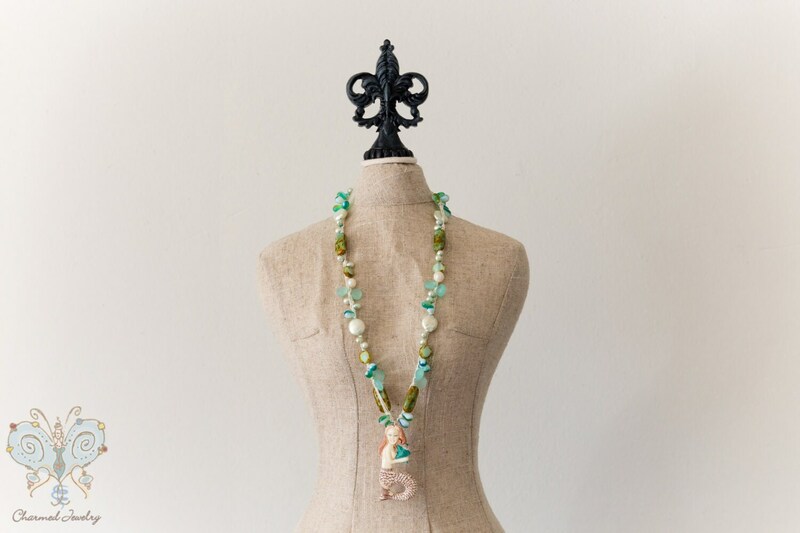 Gorgeous picasso green glass are macramed with a mix of freshwater pearls, chalcedony, white coin pearls and green teardrops of milky white and green vintage glass beads. 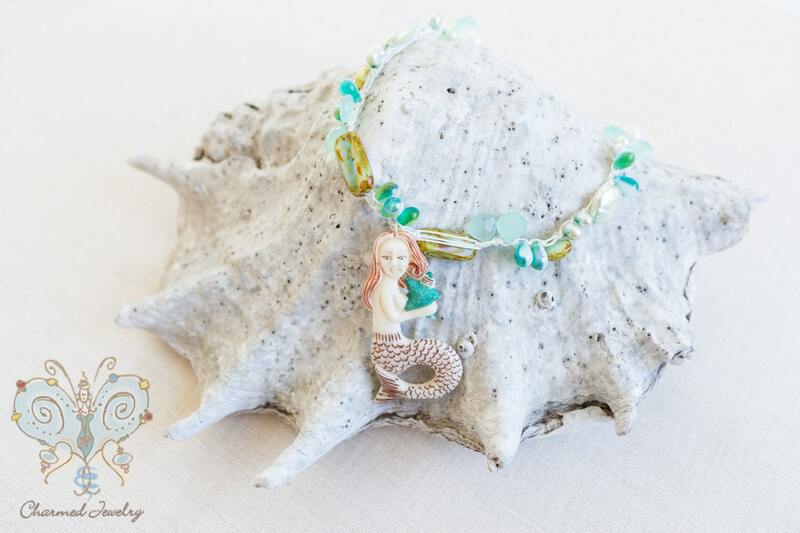 Truly a rich and beautiful mix of color, fun, unique and One Of A Kind piece of jewelry. Carved bone mermaid. Details on front and back. 19 1/2 inches long..nickel free, lead free silver, antiqued toggle clasp.